We all know how important it is to get your beauty sleep…but who knew you could actually fight wrinkles while catching some Zzzs? The bestselling Beauty Bear Age Delay Pillow is an innovative anti-ageing pillow with a unique U-shape design to cradle the face and neck, improving the quality of your rest and helping to minimise fine lines and creases. An ultra-luxurious option, this version of the pillow is made with memory foam for optimal comfort. According to clinical skin care expert Nurse Jamie, a poor sleep routine is the number three cause of premature ageing – and the position you lie in can etch fine lines and furrows into your face at night. 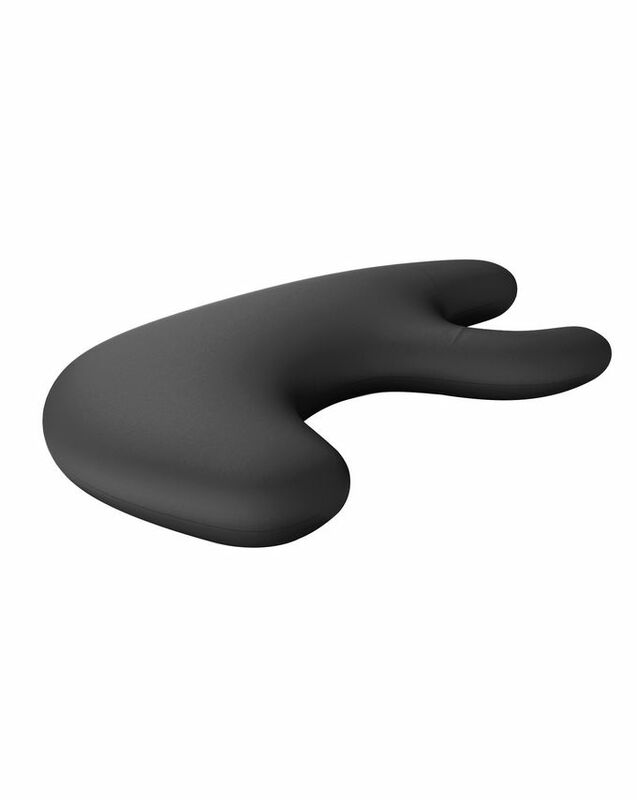 To help fight wrinkles and restore the youthful complexion you’ve been dreaming of, this innovative pillow has a unique U-shape design that cradles the face and neck and conforms to your contours, improving the quality of your rest and helping to prevent the skin from creasing as you slumber. Ideal for travel, you can grant your skin a healthier, more rested appearance overnight, simply by getting a decent night’s sleep! The pillow’s ultra-silky, satin finish supports even the most delicate of skin types and is available in four colour options to suit every taste – purple, white, midnight grey and leopard. For the ultimate luxury anti-ageing option, this version of the bestselling pillow is made with memory foam, which conforms to the contours of your head and neck perfectly for a heavenly night’s sleep. I had to hold my hands under my face or roll my pillow so that my face would not lay flat on it when sleeping on the side. Now with the Beauty Bear I can relax. I never slept so carefree as I am now with my new bear. Thats the only pillow I sleep on now. When I am traveling I miss this pillow and I feel like I have aged a century when I was sleeping on another one. Really love it. I like the concept of this pillow however I find it too firm. I ache a bit after using this. The material for its case is satin and for the price I would expect this to be silk. I would not buy this again. I find I revert back to my normal pillow because this is just too firm. I continue to use it only because I wonder if it will soften overtime a little. Wouldn’t buy this again. I purchased this pillow, the beauty stamp serum duo and finally the roller, as with the other products this pillow is very well made and is bigger than I had expected (which is good). The memory foam isn't too firm and it's very comfortable to sleep on. The case feels very soft albeit the replacement pillow case will be my next purchase so I have a spare. Really impressed with Nurse Jamie products. Simply love it, have been searching for a comfortable pillow for years that gives me comfort while sleeping on my side and make sure my jaw is not locked during sleep. I honestly don't know how to sleep with this pillow, my head and face just won't fit. It's too small and really uncomfortable. My neck hurt a lot after using it. I really regret this one.